Breaking news from the release site: the monitoring team saw Nanou with a new-born! 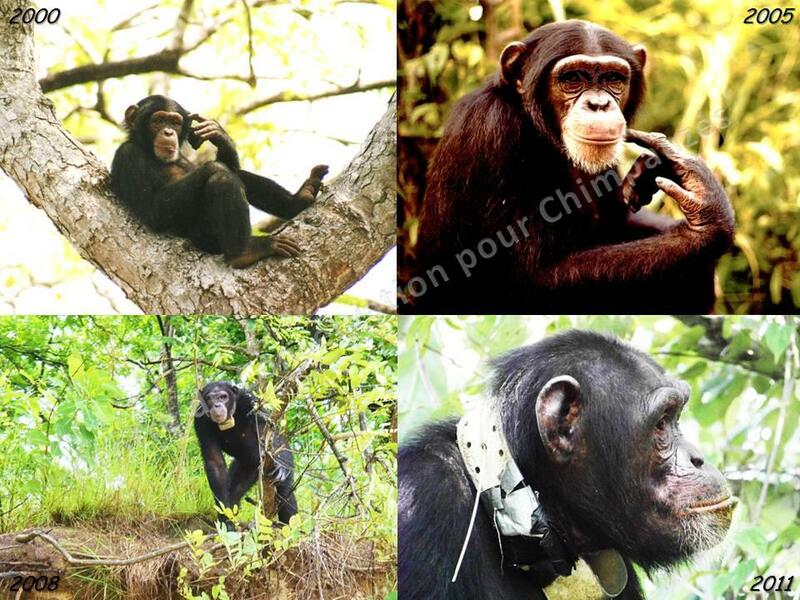 Nanou was released in June 2008, she was 13 years old. We suspect Nanou had 2 miscarriages in the past years. We are therefore relieved and delighted that she finally carried a pregnancy to full term. It remains to be seen if the baby will survive. Nanou had moved away from the group, to give birth, with Mama, who is the mother of the little Niamankoro. We are glad to see that the girls are supporting each other! We are sure Albert and Robert, the 2 males of the group, will be very happy to welcome this new baby!